The National Archives is releasing a batch of JFK assassination files online. Thursday evening, President Trump ordered 2,800 records released but decided that others should be withheld for further review for national security reasons. Last weekend, President Trump said he had decided to allow the release of the documents to the public. The secret government files have inspired conspiracy theories for decades that for example, Lee Harvey Oswald, wasn't the only person involved in the plot. The collection includes more than 3,100 documents, which could amount to tens of thousands of pages. According to the National Archives and Records Administration, approximately 88 percent of the files and documentation had been released and available to the public since the late 1990s. The National Archives is planning to post the files online only. They'll be posted here on the National Archives website. The files are are composed of PDF documents, WAV sound files, and Microsoft Excel spreadsheets and are compressed using zip compression. A modern version of Microsoft Excel capable of reading XLSX spreadsheets. According to the National Archives website, the spreadsheet file will help explain the content and context of each file. 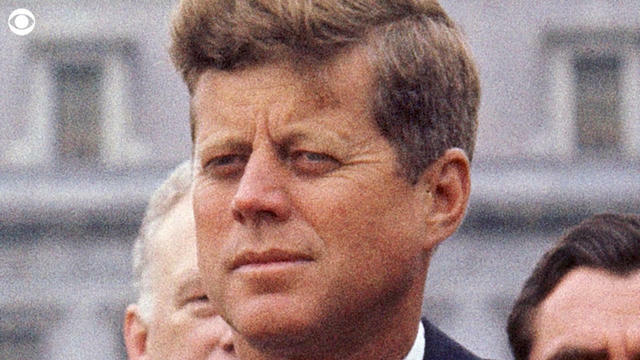 To request access to the entire JFK files original records, you will need to visit the National Archives at College Park.